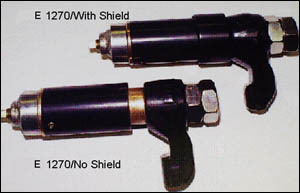 The CUI problem was one of the first to be tackled by the team who developed RG-2400 at Polyguard. The reason??? Corrosion Under Insulation in food processing, beverage, and other industries which use ammonia refrigeration systems have serious safety, environmental, and business interruption concerns when Corroded Tanks and Vessels begin showing leaks in the cooling systems. And oil and gas companies operating above the Arctic Circle have serious concerns about what a corrosion caused leak can do to the sensitive environment. 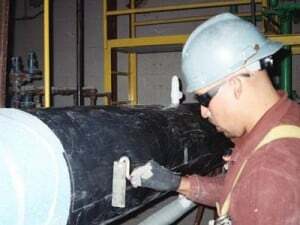 In the photo, applicators are installing RG-2400 AK gel, a formulation which can withstand application to pipe with surface temperature up to 250° F (121° C). This formulation can be applied by brush or glove. Fabric helps to keep the gel on the area where it was applied. The gel will not harden or set up over time, and it is environmentally benign. Engineers in food and beverage processing, because of their concern about leaks caused by corrosion on insulated ammonia refrigeration systems, are among the most rapid adopters of Polyguard’s RG-2400. 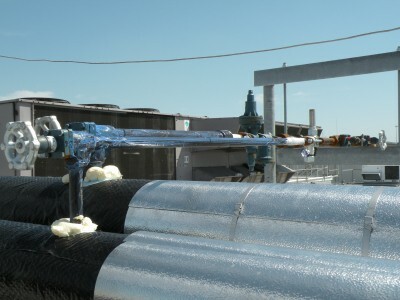 Polyguard RG-2400 is becoming the industry standard for chilled processes. Steam lines which cycle from hot to ambient or cold are difficult to protect from corrosion. Most anti-corrosion coatings used on steam lines cannot stand the high operating temperatures of these lines, so when the line cycles from hot to ambient, the line is left vulnerable. Polyguard has developed RG-2400 ET, which can withstand 350° F (177° C) operating temperatures, with short ‘spikes’ to 400° F (204° C), for the difficult steam line application. 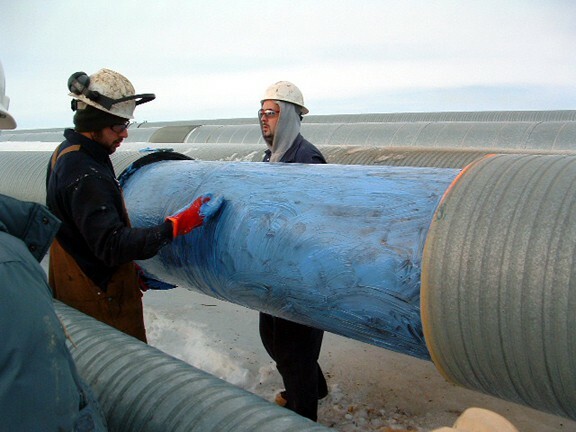 Polyguard recommends strongly that our vapor barriers, such as Insulrap, Alumaguard Lite, and Alumaguard, be utilized in conjunction with our RG-2400 on insulated pipe and structures. 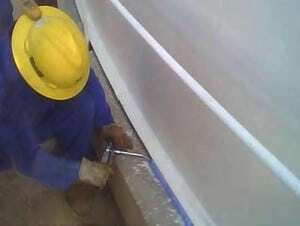 The Polyguard barriers provide damage-resistant protection to the outside of the insulation, keeping the insulation much more dry than traditional coatings such as ASJ and “fab/mastic”. Food and beverage processing specifications, as well as those in chemical processing plants with insulated piping, usually call for installation of Polyguard barriers over the insulation. Visit the Polyguard Mechanical Division for more vapor barrier information. Tanks can have special vulnerability to hidden corrosion in tank chimes, underneath the tank, and under insulation. Tank chimes are prime areas for crevice corrosion. Polyguard has developed a two step system for protection. The first step (shown below) is to pump sufficient gel underneath the chime to fill up the crevice. (The gel will not cure underneath the chime; it will remain in a gelatinous state indefinitely if not exposed to UV and mechanical damage). 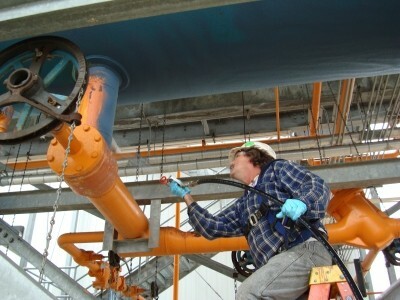 The second step (shown above) is to apply a Polyguard self-adhering anti-corrosion coating (supplied in roll form) on the top of the chime turning up on the vertical face of the tank. Once the Polyguard coating is applied, the tank (including the Polyguard coating) may be painted. 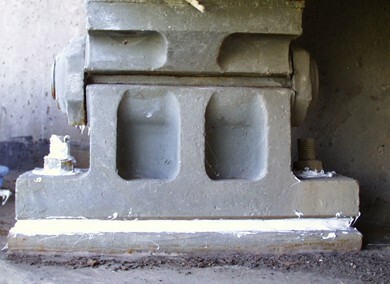 The area above the tank chime, although not subject to crevice corrosion, is highly subject to corrosion. The Polyguard self-adhering anti-corrosion coatings are far thicker than paint coatings alone which have historically been used. 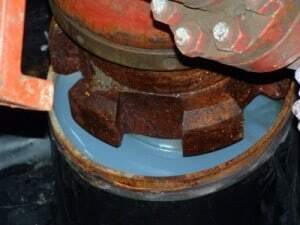 Additionally, the Polyguard self-adhering anti-coatings are capable of self-healing small areas of mechanical abuse which will frequently occur in the tank chime area. The steel surface underneath tanks has a special vulnerability to corrosion because it cannot be inspected during the life of the tank. This can be another good area for protection by Polyguard systems. 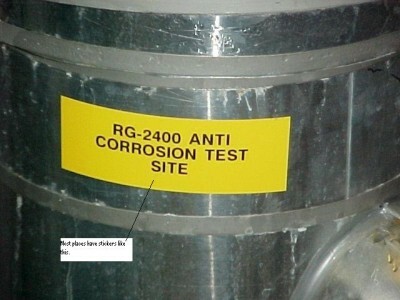 Areas not subject to mechanical abuse can be protected by application of RG-2400. Areas subject to mechanical abuse can be protected by Polyguard self-adhering corrosion coatings, whose thickness and self-healing properties can far exceed the protection furnished by traditional coatings. 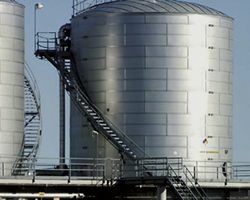 Tanks as well as piping in the Oil, Petrochemical, and Gas Processing industries are often covered by API 570 and 571 requirements. Particularly vulnerable to explosions are petrochemical facilities, where an accident can cause loss of life, environmental impact, and extra downtime due to the nature of the chemicals being processed. 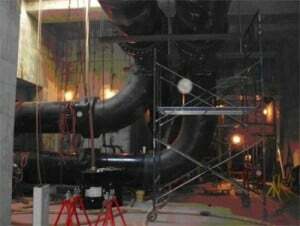 •Water entering the top of the annular space between the casing and conductor above the primary cement top. •Reaction of the water and chemical salts leached from the cement, creating a low resistance electrolyte. •Yearly replenishment of the oxygenated water, which refreshed the above reaction. •Elevated casing temperatures and the temperature gradient between the casing and the conductor. 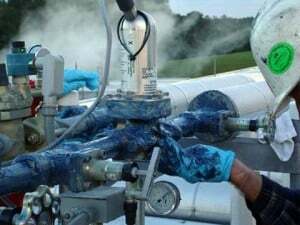 The extremely corrosive environment created by the above set of conditions has been found to cause near-surface external casing corrosion and premature failure in relatively new wells. Several of the supermajor, having defined this situation, use a specially developed Polyguard gel formulation to solve this problem on wells above the Arctic Circle. 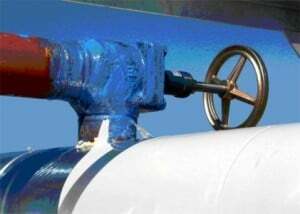 RG-2401 , in addition to its normal corrosion prevention mechanisms has properties of high specific gravity (to displace water), hydrophobic nature, environmentally benign, and easy to install. (Click here to view How It Works) The RG-2401 product can be used to correct existing casing corrosion problems, as well as to avert them on new wells. 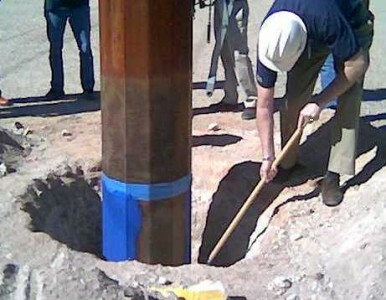 The RG-2401 product can also be used for road casing corrosion remediation. The U.S. Navy solved its ‘frozen door’ problem and extended its maintenance cycle by utilizing special interior door mechanisms based on RG-2400. 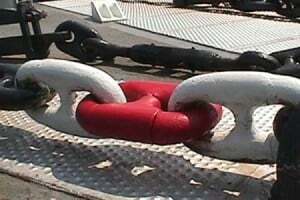 Another Navy problem solved was detachable anchor links which had been frozen by corrosion. Failed cables exposed to sea spray was another Navy problem solved by the RG-2400. The U.S. Navy specifies the use of RG-2400 on their deck edge elevator wire rope hitch points. The Deck Edge Elevator Preservation Kit includes E-1270EPL (wire rope lubricant) and DPS 602 (protective wrap). This system has dramatically improved the service life of the deck edge elevator cables resulting in significant material cost savings, has reduced maintenance costs, and has improved the reliability of the deck edge elevator. Click Here for Navy Products. In the photo below, the RG-2400 spray application to protect hidden areas from corrosion can be seen. Play the video below to watch the spray application. The use of Polyguard RG-2400 to protect valves, fittings, and flanges is evolving quickly. Valves and fittings on cold systems are also being protected. 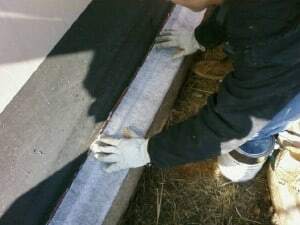 The gel may be messy, but it can be covered with insulation or clear plastic wrap. And you won’t come back to corrosion and destruction later. 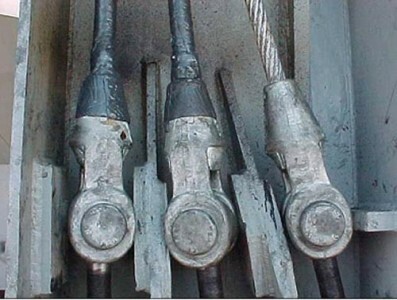 Corroded bolts and nuts add cost to maintenance of equipment, especially in harsh or corrosive environments. RG-2400 can help solve this problem. 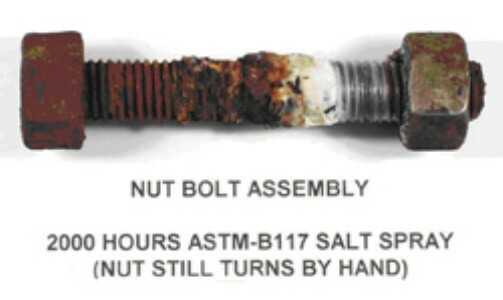 The photo below shows internal testing of a nut/bolt assembly where the right side was treated with RG-2400, then exposed to salt spray testing (ASTM B117) for 2000 hours. On the side treated with the RG-2400, no red corrosion occurred and the nut could be turned by hand. An additional helpful property of RG-2400 is that in addition to corrosion prevention, it provides lubrication properties. 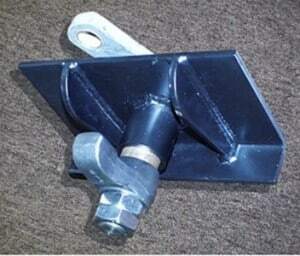 This will enhance frequent servicing of mechanical assemblies. Other internal testing showed the same benefits apply when threaded stud/nut assemblies were exposed to 1000°F (538°C) temperatures for seven days. Click here to view Torque vs. Duration” test. During the high temperature testing, the RG-2400 material turned to ash within an hour; however the stud/nut substrate was protected by the surface layer, as indicated by the lack of red/black oxide beneath the ash at the end of the seven day test. The torque required to break loose the nuts was significantly reduced throughout the seven day test period. Corrosion protection of expansion rockers in bridge applications is a particularly difficult application due to weather exposure, movement of components in the bridge rocker assembly, and the relatively high contact stresses applied in service. The high contact stresses and relative movement makes paints or other polymer coating systems impractical. Typical greases and lubricants are subject to displacement and washout due to the environment. RG-2400 is suited for this application because of its corrosion protection ability, high washout resistance, and environmental safety characteristics. After five years, the rockers which were unprotected by the gel exhibited continued corrosion activity. Rockers where the gel was applied did not exhibit corrosion. Washout and displacement of the gel was minimal. The gel remained tacky and continued to provide corrosion protection. 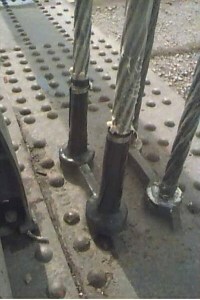 Bridge engineers also identified bridge stay splash zone applications as a significant maintenance problem on suspension bridges. 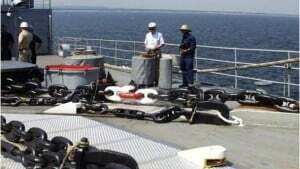 The design path was “design by similarity” to the U.S.Navy's deck edge elevator wire rope corrosion problem which had been successfully solved. As with the Navy cables, washout by saltwater splash was a significant problem. 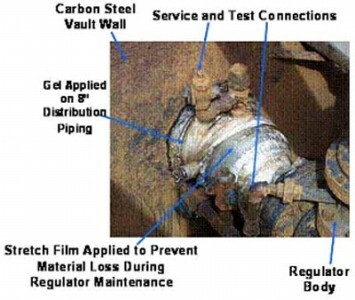 Subsequent inspections showed that the installation was performing intact, as expected, without corrosion in the treated areas.